Craig Grannell calls Anytune 1.0 “an impressive OS X debut“. Craig is a Mac, iPhone & iPad aficionado, editor, designer and writer for MacFormat magazine. Craig was very impressed with Anytune’s technical competence and fine-grained settings saying sound quality at slow speeds and broader feature set including the Loop Trainer bests Anytue’s rival. While we didn’t displace his favourite he did award our debut release on Mac OS four stars. We appreciate the kind and critical words. It is good to know we have room for improvement. 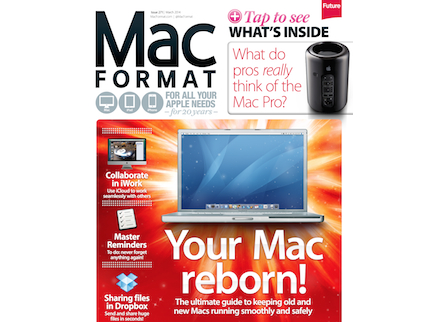 Checkout the March 2014 issue of MacFormat for the complete review.